Copyright (c) 2012, Rodrigo Fuenzalida (www.rfuenzalida.com|hello¨rfuenzalida.com), with Reserved Font Name Libre Baskerville. 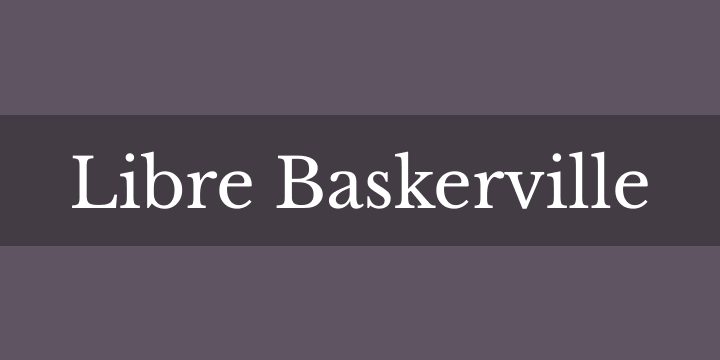 Libre Baskerville is a web font optimized for body text (typically 16px.) It is based on the American Type Founder’s Baskerville from 1941, but it has a taller x-height, wider counters and a little less contrast, that allow it to work well for reading on-screen.